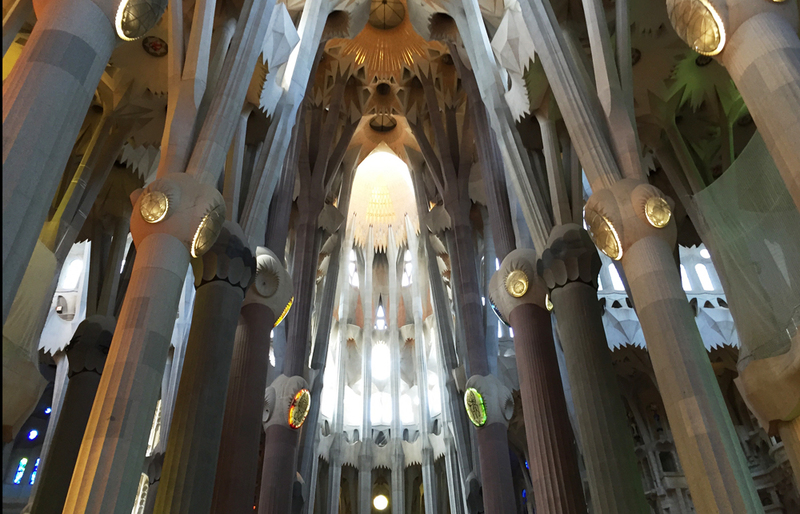 Located in Barcelona, Spain, La Sagrada Familia has to be one of your first stops in the city. It’s usually very crowded on most days and tickets to the towers sell out in advance so make sure you add this to your itinerary. Still under construction since 1882, this basilica has plenty of details to admire from Gothic to Art Nouveau, designed by architect Gaudí—who only saw a small fraction of the construction. Since then, private donations have put this landmark on route to be be finished sometime between 2026 to 2028.
Insider Note: To capture amazing pictures of the colors of the interior windows, visit La Sagrada Familia during a sunny day around 1 p.m. to 3 p.m. Also, make sure to buy your tickets online for the towers as well, which will save you plenty of time!